Shop Bone China Collection Products starts from $24 on Tiny Bowls. 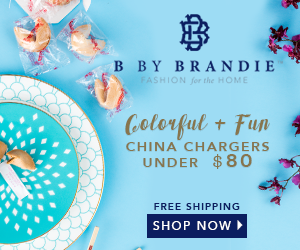 Shop all B By Brandie Bundles Collection starts from $79.99 only. Try & Buy! Select a 5-piece collection for $1 containing most popular colors and patterns to try at your table for 7 days. Limited Stock, Hurry Up! 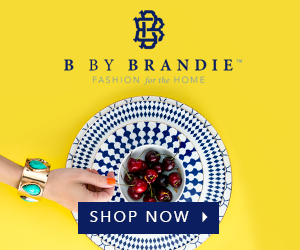 B by Brandie, created by Brandie Gehan in 2012, offers sophisticated, high-quality home accessories that are inspired by the glamorous dinner parties of her own childhood. The brand’s distinct designs coupled with modern styling, allow each piece from B by Brandie to tell a story. Use bold salad plates to add a pop of color to a neutral place setting, or contrast different designs in the same color for a monochromatic look. Found a coupon for B By Brandie?